I got back from a trip to Haiti recently. I went down October 18th – 28th. 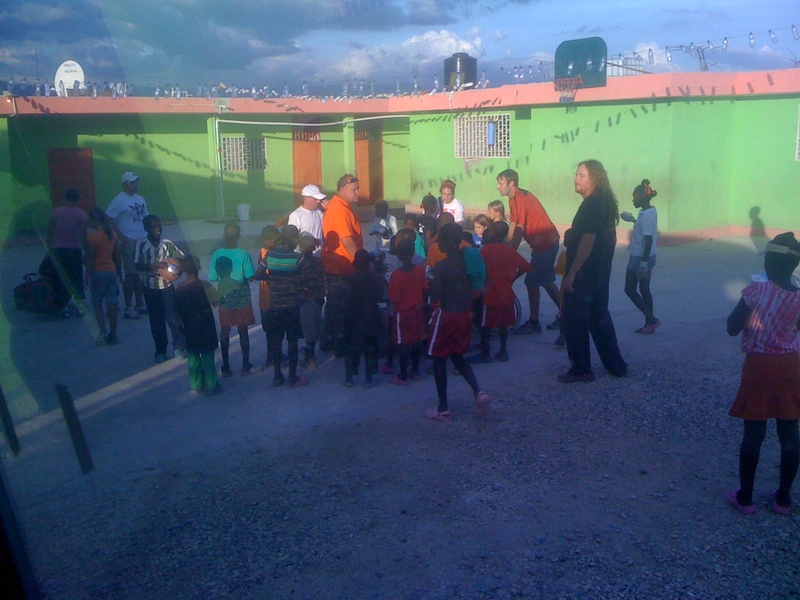 As I was there God was able to use me for lots of things at the base down in Haiti. I was able to run the electric for a tool building that the builders will use to make the building process go faster. On Saturday, Sunday & Wednesday I took a trip to a missions base where we were given 10 pallets of water and 6 pallets of rice and lots of beans and other food and supplies. This is one of the orphanages that we work with. we have built 6 buildings here for the children. We also bring fresh water and food to the children on a regular basis. Here we are giving out clothes and toys and a rehabilitation cart for one of the children who was abandoned as a child. the cart is like a bike but it has 3 wheels and is peddled with your hands. it will allow him to move around the base and strengthen his arms. On Sundays we do a church service for the kids. Here are some children coming home from school. 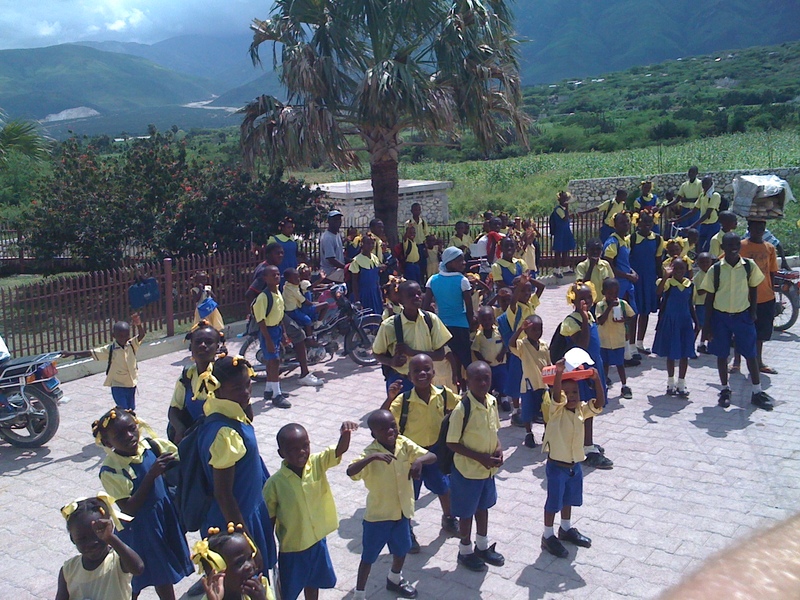 All the schools in Haiti are either private schools that you pay for, or they are run by christian organizations who find sponsors for them in the States and Other areas. This School is run by an orphanage and ministry called love-a-child. This is what a tent city looks like. a bunch of blue and gray plastic tarps that make the houses for approximately 1.5 million people in Haiti. this is the main reason for the Massive health issues that people are talking about on the new and other area. 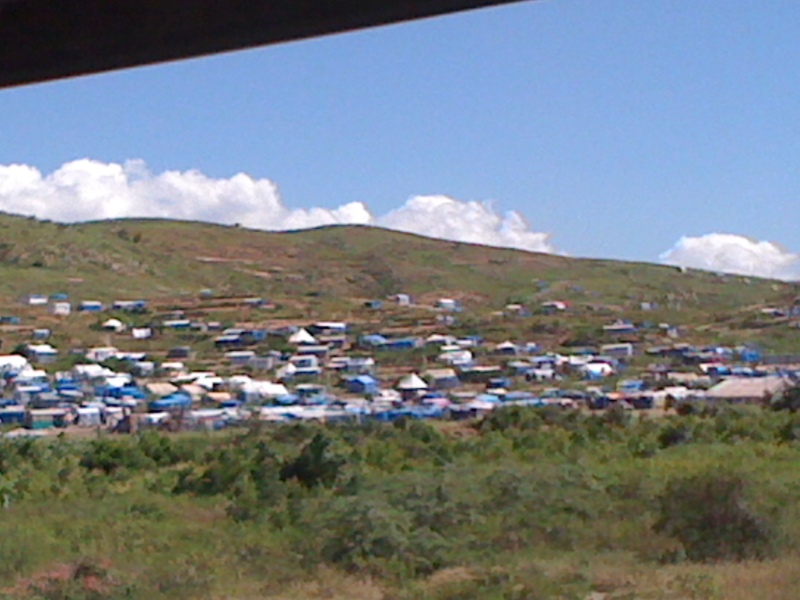 each tent city as they call them has about 1,000 people living at it. 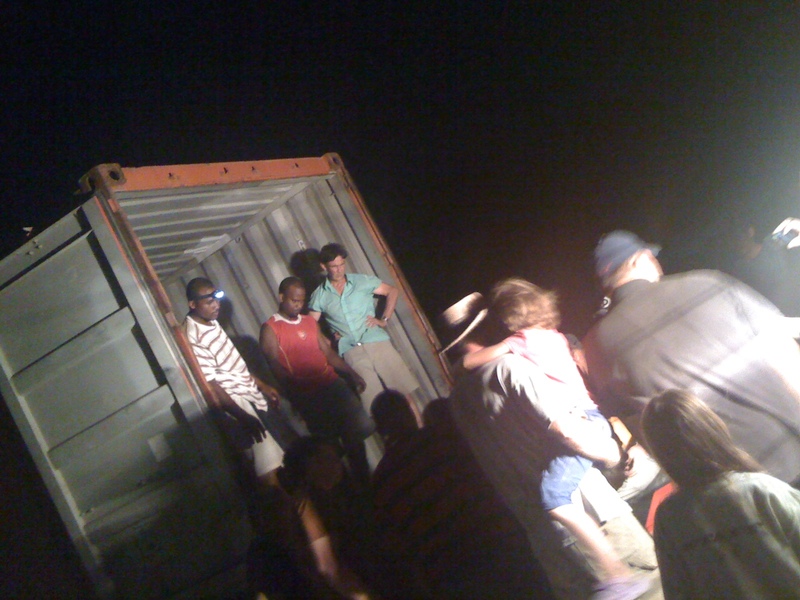 Here is a container that we are taking off of a trailer so that it can be used for storing supplies that come in before we distribute them to different orphanages and people in need. 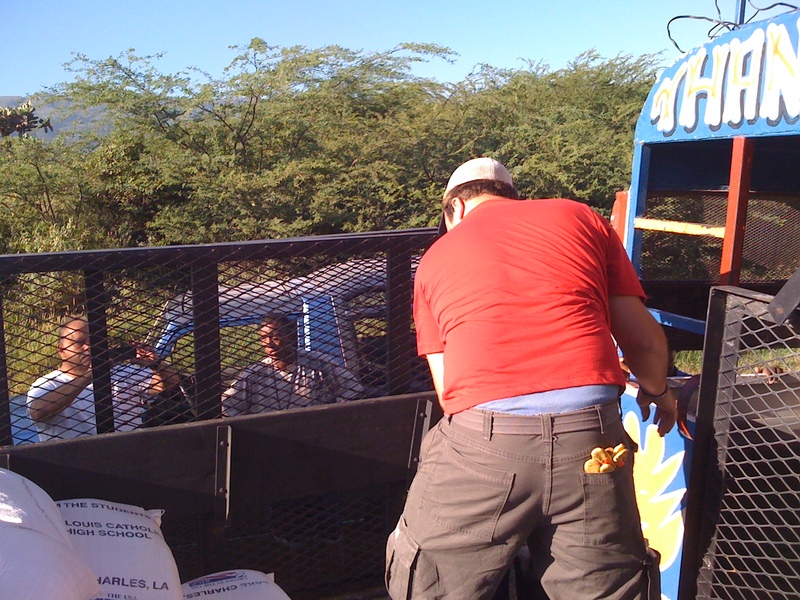 Here we are loading a Local Pastors truck who will take the supplies to a village that he lives at. 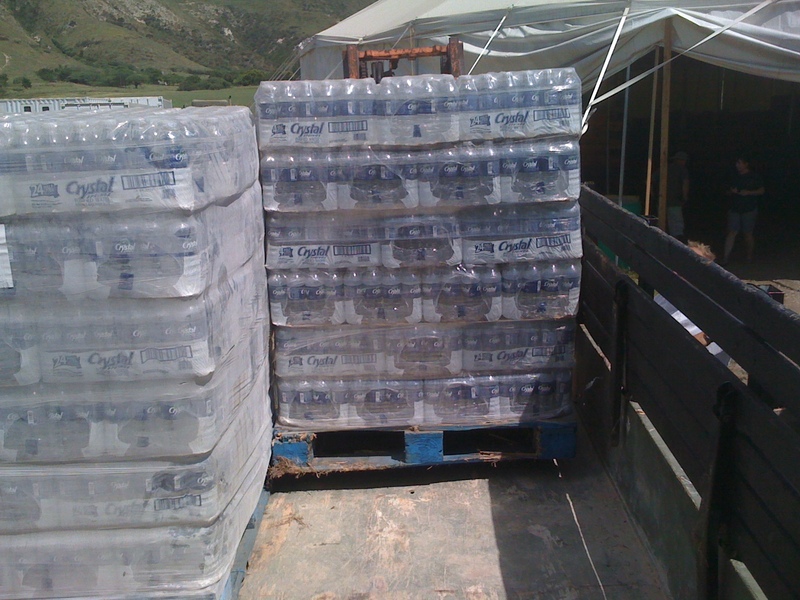 We picked up about 10 – 12 pallets of water and brought it to our base where we will distribute and use for the different outreaches and teams that come to our base and for the people we minister to. 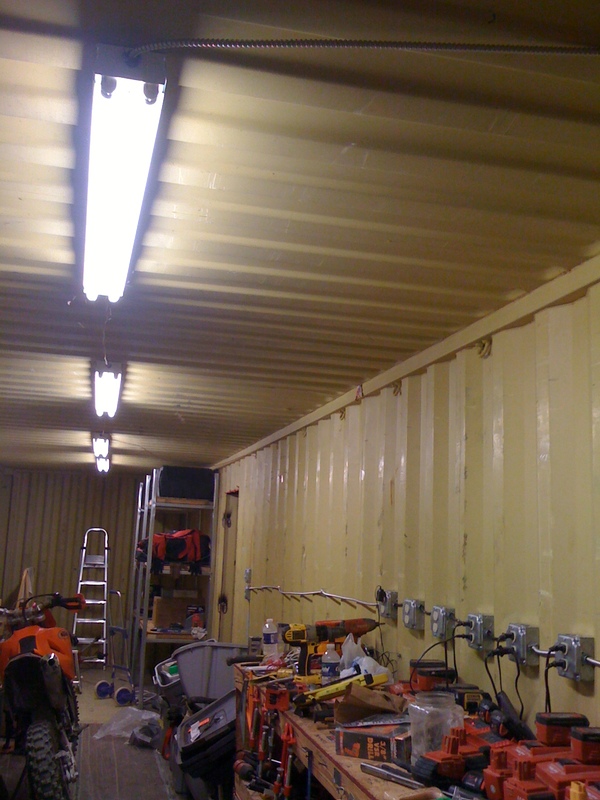 This is inside of one of our 40 foot containers. I worked for a few days installing the electric outlets and lights in the ceiling so that we can use this as a tool shop for the equipment that we use. 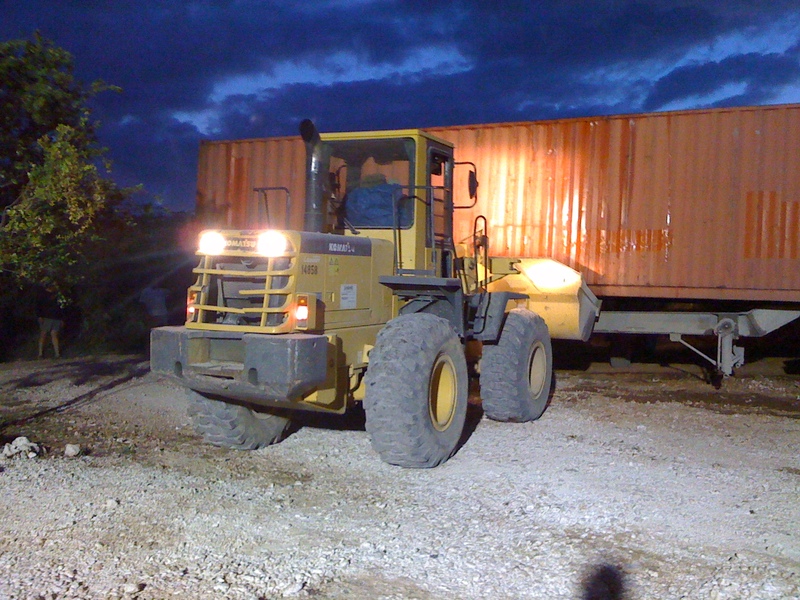 the batteries and drills we use every day building the homes and schools for the families and children here in Haiti. without a good shop to keep the tools organized it becomes difficult to work as new teams come in every week. organization helps keep the tools from getting lost or damaged or stolen. Thank you all for your love and support for the work that is going on in Haiti. Many times I post a lot of pictures that are just from the base. that’s where I work at the most. As I keep the base functioning on the different trips I go on it allows the team members to accomplish more out building at the different sites and leading the outreaches we do. God Bless you all, more updates coming soon.